And last week at least… Mike was the one with the best technology! 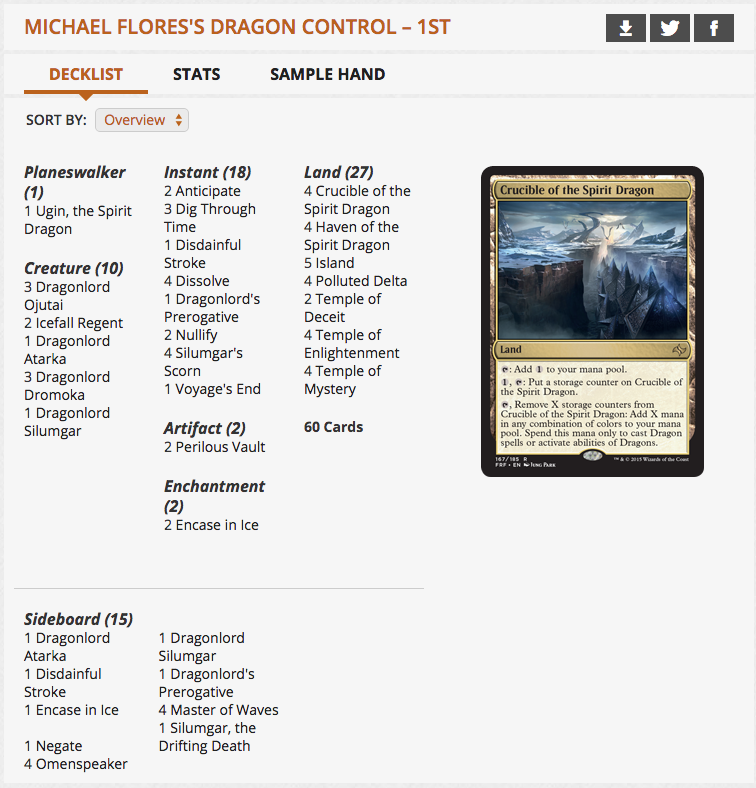 For anyone who missed it, Mike won the Salt Lake City RPTQ with a “crazy” Mono-Blue Five-color Dragons list that was born on this here podcast just a couple of weeks ago. In this episode of Top Level Podcast Utah RPTQ winner Mike Flores joins Pro Tour Champion Patrick Chapin to talk about their Five-color Dragons deck. Which is the best dragon? What are the proper play sequences? Why are there so many one- and three-ofs? Anyway, Mike ended up with “the blue envelope”. The sad thing is… The blue envelope was just a stack of white papers! And in now-typical Top Level Podcast fashion, Michael and Patrick put together an all-new all-different build of Mono-Blue Five-color Dragons… Hopefully preserving the good matchups (Esper and Mono-Red) while getting better and more aware of Abzan Aggro and Ashiok, Nightmare Weaver. Find out why Dragonlord Kolaghan made it [back] into the list, how the boys got there, plus some live tweeting from Kenji Tsumura (!!!) 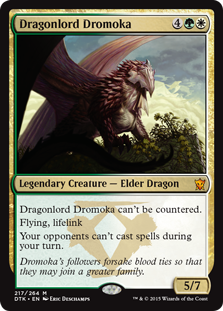 in “How to Win a PTQ with Dragonlord Dromoka”.